We have more great filtration news to share with you! 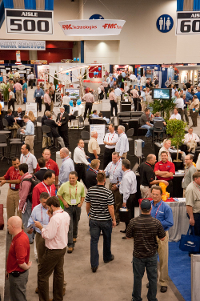 Did you attend this year’s ILTA Trade Show? Need to successfully transfer and/or filter fluids? Want to know the real condition of your bag-house filters? Did you attend this year’s ILTA Show? We did! Thousands of people were in Houston in May for the 30th annual ILTA Conference & Trade Show, including engineers, procurement specialists, project managers, terminal supervisors, and pipeline operators. Many customers and prospects crowded around booth #157 looking for solutions to their liquid terminal and pipeline filtration challenges. The attendees were anxiously looking for solutions, whether for a pipeline pigging operation or increasing throughput in an existing liquid filtration system. Precision Filtration Products was glad to be able to offer the expert advice and the filtration products necessary to solve the issues presented. Do you have any questions related to your company’s filtration needs? Click here to learn more about our liquid filtration solutions! Problem: Filtering high-viscosity fluids in hard-to-reach places (e.g. wind turbine applications). Problem: New oil is not always clean oil. On average, new oil delivered from a drum has a cleanliness level of ISO Code 22/21/19. Problem: Transferring fluids can lead to increased particulate contamination and decreased service life. SOLUTION: The quick fix for any of these filtration issues is a Drum-Top Filter Unit. Utilizing a “DTF” Filtration Unit will allow you to meet and maintain your target ISO Cleanliness Codes and prolong the life of your equipment and fluid. This, of course, will ultimately save you time and money. Click here to learn more about our “DTF” Drum-Top Filter Unit! How much life is left in your filter bags? Is dust migrating through your filter bags? Have you ever overheated your bag-house? Are you using the correct filter for your process? 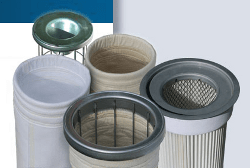 These are just a some of the questions that our filtration experts can answer for you while providing a detailed written report of your current dust bag filters. Our complimentary filter bag analysis service will ensure that you have the right dust filter bag for your needs. It will also allow you to improve your bag-house efficiency and maximize your filter bag performance. With our filter bag analysis you will receive a permeability test, mullen burst test, microscopic analysis, and a failure mode analysis, and a detailed written report. Click here to contact us today for your complimentary filter bag analysis! ← Success Story: Custom HEPA Air Filter to the Rescue!